A Retina display screenshot is worth approximately 4000 words, Kodak snaps a picture of Apple’s frustrated face, and Microsoft shoots, but may not score, in a licensing imbroglio. The remainders for Thursday, March 8, 2012 have just one shot. Yeah, yeah, the new iPad has four times the resolution of the old one. But it’s hard to grasp until you can really see it. 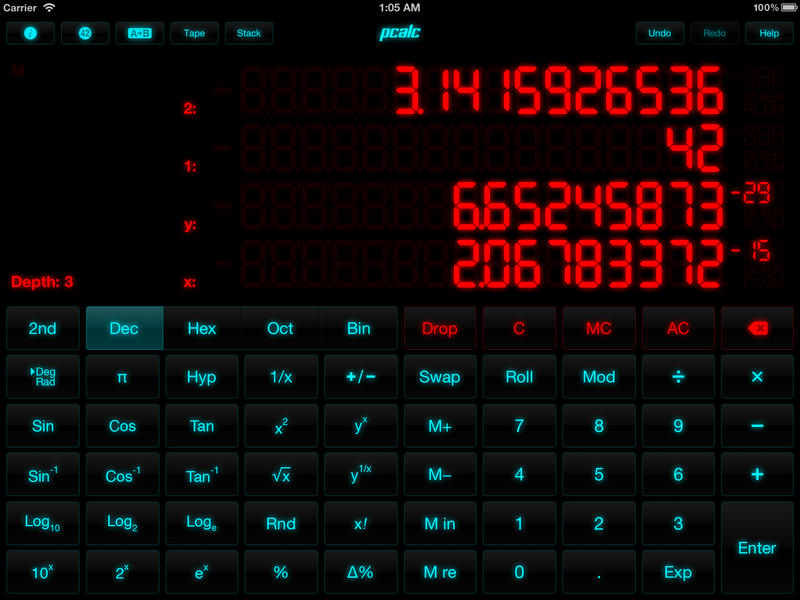 Take this screenshot by developer James Thomson of his iOS app PCalc. It’s so big that at native resolution, it will not fit on my MacBook Air’s screen. So, uh, who wants a giant novelty calculator? A U.S. bankruptcy judge has ruled that Apple cannot continue its claims against Kodak while the photography company is in Chapter 11. But, man, when they get to Chapter 12 all bets are off. Apparently, the 1080p videos you can now get from the iTunes Store feature better quality with only a modest increase in file size. So if you’ve ever wanted to read all of the text in the background of Fringe, now is your chance. Usually, volume licensing is such a hot topic, I know. Joe Matz, Corporate Vice President, Worldwide Licensing and Pricing, Microsoft—and we bet he’s a hoot at parties—penned a blog post reviewing the company’s licensing arrangements, with a specific eye to OnLive’s Desktop and Desktop Plus services. Matz describes the app’s technology, which lets you remotely control Windows, as an “issue” and says that Microsoft hopes to bring the company “into a properly licensed scenario.” I’m not entirely sure, but is this…flirting? GrowlVoice 2.0 - Version 2.0 of Eric Horacek's menu bar Google Voice utility has a fully retooled UI, along with support for multiple accounts, full message search, clickable links in messages, improved message marking capabilities, and much, much more. $5 from the Mac App Store, free update for current owners.